Welcome to our website about the snail, Patera panselenus or more commonly known as the West Virginia Bladetooth. You will be learning about the Classification, Habitat, Adaptation, Nutrition, and Reproduction of the Patera panselenus throughout this website. Our names are Alyx Haasl and Samantha Parrish, and we attend the University of Wisconsin-La Crosse. Currently we are enrolled in Animal Biology, which is giving us the opportunity to create this website for you to gain more knowledge about the amazing creature, Patera panselenus. We would also like to say since Patera Panselenus is not yet a well known species of snail we will be giving some of the information to you based on species of snails that are closely related by their genus and class. 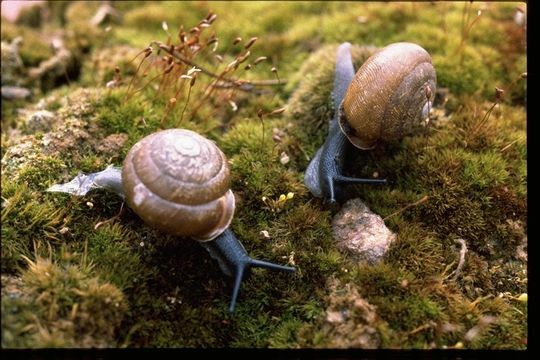 To learn more about many other species of snails please visit Wisconsin Land Snails website. Or to learn more about the diversity of other organisms visit MultipleOrganisms.net.